It took two years for Florida to pass Amendment 2 allowing medical marijuana treatment centers to exist. Though the amendment first passed on November 8, 2016, the road for business professionals to obtain permits and open up shop has been fraught with delays, restrictions, editing of regulations, and even lawsuits. As of June 22, 2017, Senate Bill 8A passed in a special session allowed the issuance of 10 new MMTC licenses. In March 2018, Florida lawmakers voted to withhold $1.9 million in salaries and benefits from Department of Health officials until the program is run more efficiently. Here’s what you need to know about the application process for MMTC license in Florida. Have been registered to conduct business in Florida for at least 5 consecutive years. Possess a nursery certificate of registration from the Department of Agriculture & Consumer Services. Have technical and technological ability to cultivate low-THC cannabis. Can secure the premises with the necessary personnel. Are committed to accountability of all raw materials, finished products, and byproducts. Set up shop in a location that is reasonable for dispensing to qualified patients. Show financial viability with certified financial statements. Pass Level 2 Background Screening (for all owners, officers, board members, and managers). Employ a medical director to supervise all activities. Promote involvement of minorities or veterans with a diversity plan. Are able to post a $5 million performance bond issued by a highly-rated, authorized surety insurance company or provide an irrevocable letter of credit to the department within 10 days of licensure. Can You Still Apply for a Florida MMTC License? Seven of these MMTCs were established prior to the passage of Senate Bill 8A, which granted 10 more licenses to be approved by October 3, 2017. Half of the licenses were granted to applicants in the initial 2014 round, while the other half were open to new applicants. Once the number of active qualified patients added to the medical marijuana use registry increases from 20,000 to 100,000, four additional MMTCs will be allowed within six months. For every 100,000 patients, four new facilities will be licensed. So while an application for an MMTC license may seem like a long shot, it’s still worth getting in line if you meet the requirements. Note that preference is given to applicants who are members of the Black Farmers and Agriculturalists Association Florida Chapter or who own facilities previously used for the canning or concentrating of citrus fruit or citrus molasses. So the big question is: What can you do right now to work toward obtaining your Florida MMTC license? First off, know the current laws and regulations posted at mpp.org/states/florida. Align yourself with the United for Care people who are working hard to lift some of the tougher restrictions we’re up against in the State of Florida. Network with a company like Green Zipp to get a compliant marijuana company business plan put together, which will help you acquire the necessary investment capital and partners needed to pass licensing requirements. Know which counties and local governments are medical marijuana friendly to avoid some of the needless legal battles associated with zoning, permitting, and bans. Anticipate where you will get your initial funding, as the start-up costs, application process, and early years will be the most expensive. Be sure you have access to ethical corporate lawyers specializing in state cannabis laws and regulations just in case. 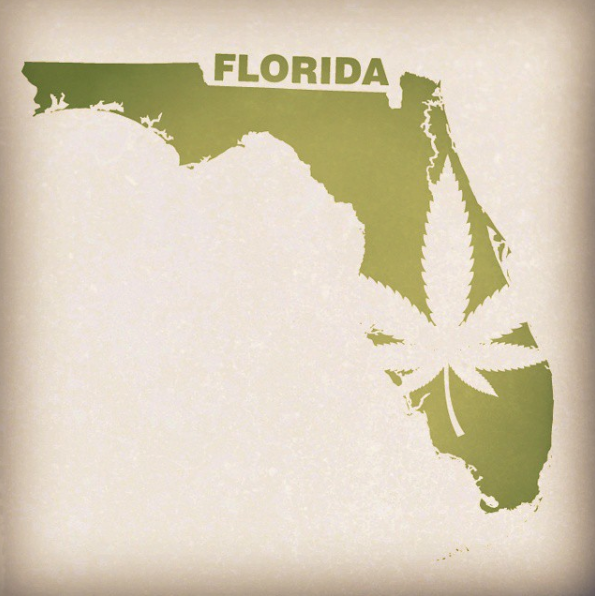 The application process in the Sunshine State is grueling, but then again, so is operating a medical marijuana treatment center in spite of federal regulations that still deem it illegal. You may not be able to open a bank account, given federal anti-money-laundering laws, register a trademark with the USPTO, or advertise a cannabis-related business on Google or other social media platforms. There is much to do while waiting for your application to process. Once you are approved, you’ll want to contract with a testing lab to remain a cut above the rest. While cannabis itself is safe, it can be contaminated with potentially hazardous chemicals, pesticides, pathogenic molds, fungus, or bacteria. These contaminants are especially dangerous to people with compromised immune systems – many of which are precisely the target audience of medical marijuana products. If you have any other questions about obtaining a medical marijuana license in Central Florida, finding a lab partner, or any of the next steps for operating your business after that, contact Modern Canna Science to learn about our MMTC consulting services. Our extensive knowledge about medical cannabis lab tests can help you ensure the safety and accuracy of the products you sell, while our longstanding experience working within state regulations works in your favor.